Streamline inventory operations with backordering, not to mention being able to pre-order inventory and fulfill on time. 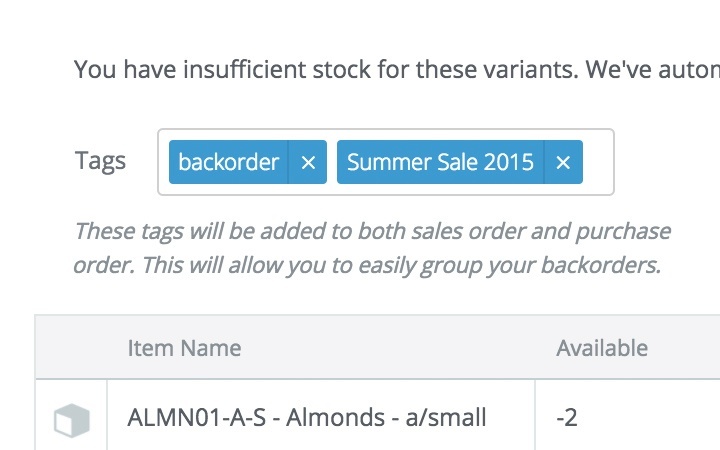 With backordering, all sales orders for an unavailable item are consolidated and converted to one purchase order per supplier. This can be done for as many items that are not in stock currently - providing you convenience when dealing with suppliers. 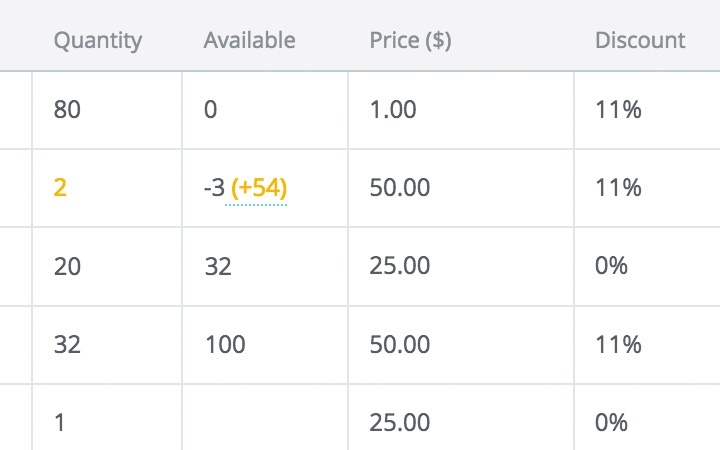 You can now see items that are unfulfilled at one glance on both sales and purchase orders. Your sales order will be marked with the same purchase order to streamline fulfilment. 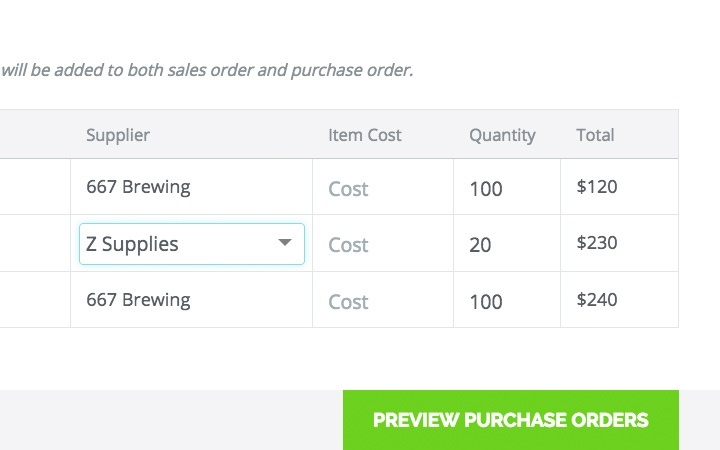 Tags can be used to organise and match both sales and purchase orders to allow you to fulfill orders on time. These tags can include arrival dates, product types and seasons. Solve the problem of “demand outstripping supply” for your products by collecting orders in advance and knowing you can fulfil them within a delivery window. Backordering gives you confidence in knowing where your orders are at every point in time.